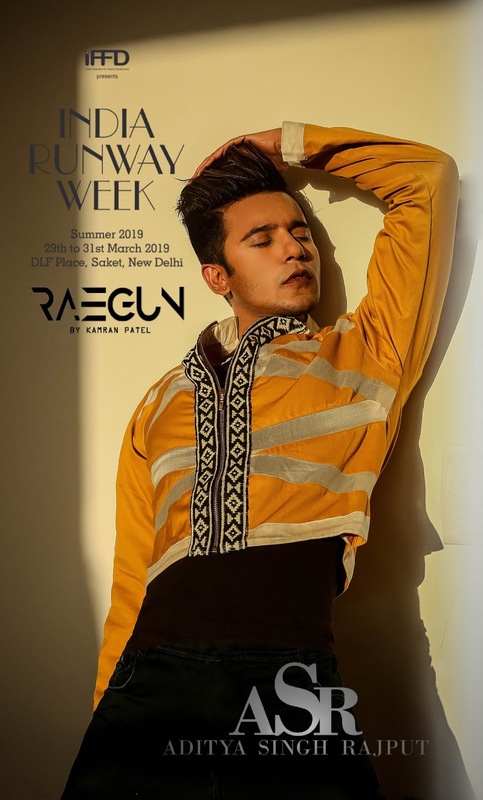 Aditya Singh Rajput to be a showstopper for London based brand - RAEGUN Curated by Kamran Patel for Prestigious INDIA RUNWAY WEEK!! Aditya Singh Rajput who has been part of lot of hi-street fashion campaigns & hundreds of TV Commercials is a founder of a digital platform POP CULTURE MEDIA as well says its great to walk for Kamran as he is a friend and his clothes are subtle yet funky and very Pop Culture i could relate to as i totally follow Pop Culture from the west and hugly inspired by for my own productions! Kamran says "Aditya was the best choice to endorse RAEGUN as he is not only a hi street supermodel & an actor but a super strong youth media personality who represents youth in a super strong & sleek way"
Kamran says "Aditya’s look as a showstopper for our show will be a trendsetting look for youth"